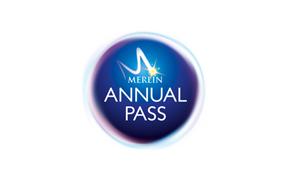 As a Merlin Annual Passholder, not only do you receive 12 months entry to all of 11 of our attractions, but there are also many other amazing Rewards to take advantage of each time you visit. Dive into an amazing underwater world at SEA LIFE and discover thousands of marine creatures including huge sharks, penguins, and dugongs! Meet wombats, koalas and kangaroos at WILD LIFE, and come face-to-face with your favourite celebrity in wax at Madame Tussauds Sydney. Don't forget about the breathtaking views from the Sydney Tower Eye, and immerse yourself in nature at our Australian Treetop Adventures! Plus, you'll enjoy an endless list of rewards to ensure you have a magical experience each time you visit! Access on all days and all times including public holidays (Pre-book required in peak for LEGOLAND Discovery Centre Melbourne). 10% off Magic Memories photo products and much more! See www.merlinannualpass.com.au/passholder-rewards.aspx for more details.